"[Playgrounds] are among the few remaining places within the city for non-purposive, spontaneous, and creative activity, for exciting physical challenge and discovery." I have playgrounds on my mind this month. 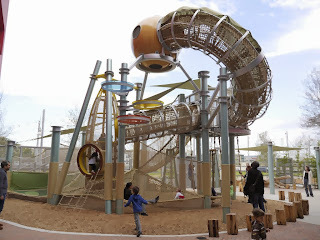 The Thinkery--Austin's new children's museum--opened this month, and one of its best features is the new playground in the courtyard of the museum. Fun, unique, and engaging for kids. 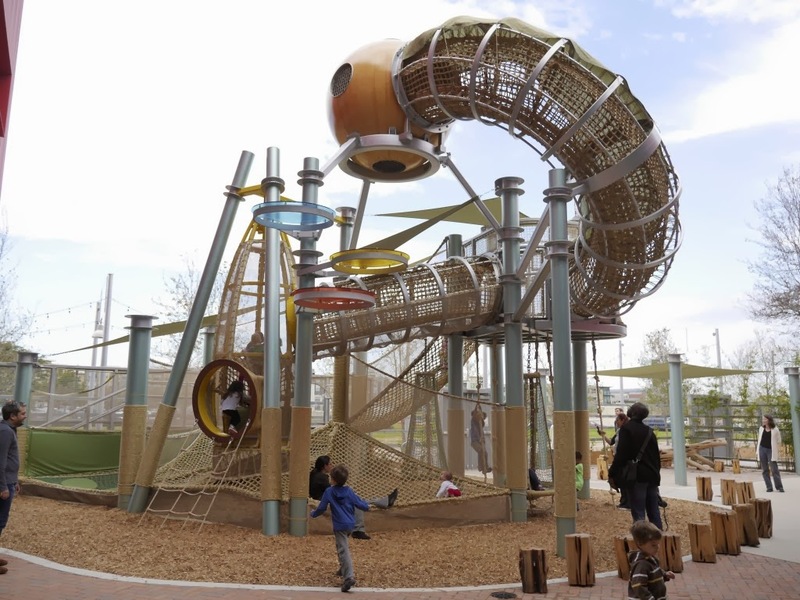 And in Pittsburg, the Carnegie Museum of Art is showing the Playground Project exhibit, which chronicles some of the world's most outstanding playgrounds from the mid-to-late 20th century. The New York Times ran a write up of the exhibit earlier this year. As the write up for the exhibit explains, the playground is "a place where opinions about education, exploration, aesthetics, and the public space abound. . . Yet most playgrounds today are highly standardized and sanitized. A change is needed, but, as history shows, it is only possible if we engage in the revitalization not only of the playground but of the public space in general." I have been collecting images of whimsical and inspiring playgrounds from around the world on my Pinterest page and agree with the Playground Project curators' conclusions that these types of playgrounds are few and far between. But I also believes that projects like the Thinkery playscape indicate a promising trend towards more innovative play structures. Here's to more projects in Austin's future that promote creative play, physical challenges, and discovery for kids of all ages. Happy New Year.